On the verge of becoming confined to the pages of Afghan history. 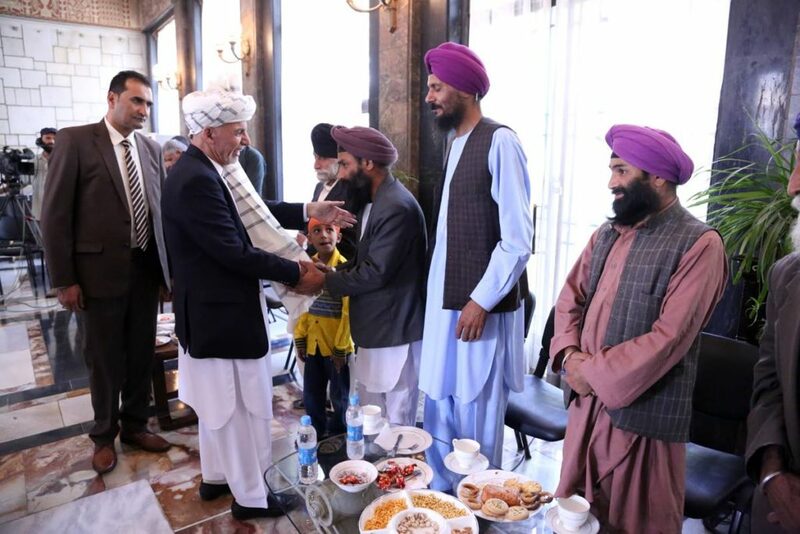 The handful of Hindus and Sikhs left in Afghanistan received some good news this week. The Afghan government has approved reservation for these two minority communities in the country’s lower house of parliament, the Wolesi Jirga, something that they have been pleading with the powers that be to do for years. But it is too early to celebrate. The government’s approval for seat reservation is only the first step. The Ashraf Ghani government as well as the leaders of the Sikh and Hindu communities will have to lobby hard to get the move approved by members of the Wolesi Jirga. Otherwise, the effort will be reduced to an empty exercise, yet again. Three years ago, the remaining few Sikhs and Hindus threatened to leave the country if they were not given a seat, but still the majority in the Afghan parliament turned down the Hamid Karzai government’s much touted decree granting reservation. Those against the reservation argued that the Afghan constitution prohibits any discrimination among its citizens. Therein lies the irony. It is endemic discrimination against Hindu and Sikh minorities, who are usually clubbed together, which has driven out almost all members of these once thriving communities from their homeland to foreign countries such as India and Germany. Hindus and Sikhs have lived on this land for hundreds of years, but in a span of three decades, they are on the verge of becoming confined to the pages of Afghan history. Until the Taliban overran Afghanistan, Hindus and Sikhs were a small but influential part of Afghan society. They were at the forefront of business and trade, engaged in money-lending and shop-keeping, selling everything from charms to herbs. Some had also joined the army and police in the last century and in the 19th century before that. President Mohammad Najibullah, who was hanged from a lamppost in Kabul by the Taliban, had also tried to involve them politically. An investigation by TOLO News, a leading news channel in Afghanistan, revealed that 99 percent of Hindus and Sikhs have left Afghanistan in the last three decades. The report, published in June, said that there were 220,000 Sikhs and Hindus in the 1980s, but their population came down to 15,000 after the Taliban took over in the 1990s. Now, only 1,350 Hindus and Sikhs remain. Discrimination and government neglect are responsible for the exodus. During the Taliban regime, Hindus wore yellow badges and non-Muslims were not allowed to hold government jobs. It was because of those horrifying yellow badges that much of the world first came to know about these religious minorities living in Afghanistan. Fifteen years after the fall of the Taliban, those Hindus and Sikhs who remain are contending with growing insecurity, loss of land and property to warlords, hostile neighbours who object to their practice of burning their dead, bullying in schools, and dwindling economic prospects. More than any other time in their history, they feel like outsiders now. While it might not change a great deal in practical terms, a seat in the Wolesi Jirga symbolizes political inclusion for those who still remain in their homeland despite the odds. It would be a tremendous boost to their morale. In the first parliamentary elections after the fall of Taliban, Anarkali Kaur Honaryar, a young Sikh woman was elected to the Wolesi Jirga for a five-year-term. The same year, Ganga Ram, a Hindu, was appointed by Karzai to the Meshrano Jirga, the Upper House. When Honiyar, a trained dentist and women’s rights activist, who had survived the Taliban regime, failed to retain her seat in 2010, Karzai nominated her to the Upper House. The only choice Hindus and Sikhs now have is reservation because their chances of getting elected to one of the 249 seats in the Lower House are virtually non-existent, as more and more of their fellow community members leave Afghanistan.”If we don’t give them this constitutional privilege, the minorities will never reach the parliament,” a lawmaker pointed out during the 2013 debate. Excerpts the 2013 debate reveal two things — the lawmakers did not have data on the number of Hindus and Sikhs who were left in the country; and there was little discussion about their welfare. While the tone of debate suggested that there was no sense of urgency to ongoing exodus of the religious minorities, there is cause for hope. Out of the 130 lawmakers who voted, the margin between those who rejected reservation and those who approved of it was only 22. And a few members of parliament, such as Ramazan Bashardost, called out their fellow lawmakers for crouching behind constitutional provisions. Bashardost said that the “we’re all equal” approach reeked of hypocrisy because ethnic divisions pervaded within the government itself. He pointed out that the Afghan constitution did not enjoin that the president must be a Pashtun, the first deputy a Tajik and the second deputy a Hazara, but that is how things were at the highest level of the state. The Ghani government has no choice but to take up the cause of the ebbing minorities, but this time around, things should move beyond formality. 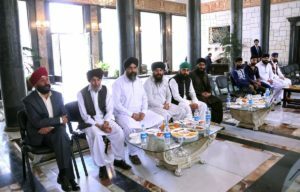 Kabul: After years of iteration, Afghanistan’s National Unity Government (NUG) approved the reservation of a seat for Sikhs and Hindus in the Afghan parliament, late on Sunday evening. The Wire has received confirmation from officials close to President Ashraf Ghani that such a bill has indeed been approved by the cabinet and assented to by the president, allowing Afghanistan’s prominent minority group to find representation in the nation’s parliament. “We can confirm that the bill has indeed been approved, but are yet to publish the official gazette,’ said Haroon Chakhansuri, spokesperson to the president. This comes at a crucial time when the minority group is finding its interests underrepresented in the Afghan development process. While Afghan Sikhs do have a representative nominated to the upper house, there are no elected representatives in the lower house of the parliament. The Afghan Sikhs, however, are not holding out a lot of hope. “Similar initiatives and decrees were undertaken in the past as well, but once they reached the parliament they were not endorsed by the elected representatives,” says Afghan Sikh activist Raoul Singh, referring to a similar attempt by former president Hamid Karzai that was shot down by the parliament in 2013. The legislative committee’s decree failed to secure the required endorsement in the parliament, slowing down the process of including minority representation in the government. A constitutional clause, however, prevents the parliament from affecting such amendments and bills in their last few months. “We hope that’s this time it sticks, otherwise there is little left for us in this country if we can’t even secure the right to represent ourselves,” Singh says, adding that the Afghan Sikh population has dropped significantly in the last two years. “There are only about 3000 of us that remain in Afghanistan, most having been driven out due to deteriorating security and discrimination,” he adds. While a majority of the Afghans Sikhs and Hindus are based in Kabul, a large number also reside in Nangarhar and Ghazni provinces. “Until earlier this year, there were a number of Sikhs in Helmand as well. However, recent conflicts have forced them out,” Singh explains. About 75 Afghan Sikh families are believed to have migrated to India in the past year.